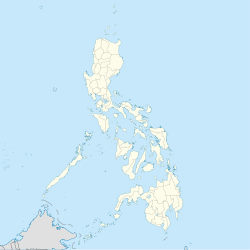 ^ Province: PALAWAN. PSGC Interactive. Makati City, Philippines: National Statistical Coordination Board. [15 November 2012]. （原始内容存档于2012年11月14日）. ^ 2.0 2.1 Meet The Cleanest City Of Philippines- Puerto Princesa. 2017-04-03 （英语）. ^ Tourist city venue for PNRC event.(Tourism). [2018-08-11]. （原始内容存档于2012-10-25） （英语）. ^ 作者：欣傳媒編輯部. 欣旅遊 Bon Voyage 2016/12月 NO.52: 2017全球最佳旅遊城市. 欣傳媒股份有限公司, 2016. 2016年12月5日 （中文（台灣）‎）. ^ 姊妹市 -新竹市政府. [2018-08-11] （中文（台灣）‎）. ^ 臺灣月刊, 第 265-276 期. 台灣省政府新聞處. [2018-08-11] （中文（台灣）‎）. ^ James Hookway. Sea Tensions Deepen With China's Rise. The Wall Street Journal. 2012-06-08 （英语）.